We decided to indulge in a late brunch at ZeZe Food and Drink, a new(ish) restaurant and cocktail bar. We lingered over the Spanish Tortilla, a tasty skillet full of eggs, Chorizo, fiore di latte and scone crumble. And while the dish was delicious, it was the Elderflower Spritz that pleasantly surprised me. Elderflower is a fragrant, almost honey-scented, blossom that tastes like spring. ZeZe's version of this classic cocktail - a blend of Cava, St. Germain liqueur and lemon - had a citrus taste, a hint of sweetness and a crisp, sparkling finish. I decided to recreate this cocktail at home, but opted for a slightly more economical version because St. Germain is really expensive. Indulging in this bright and bubbly cocktail is the right way to shed the last remnants of winter and segue into spring! 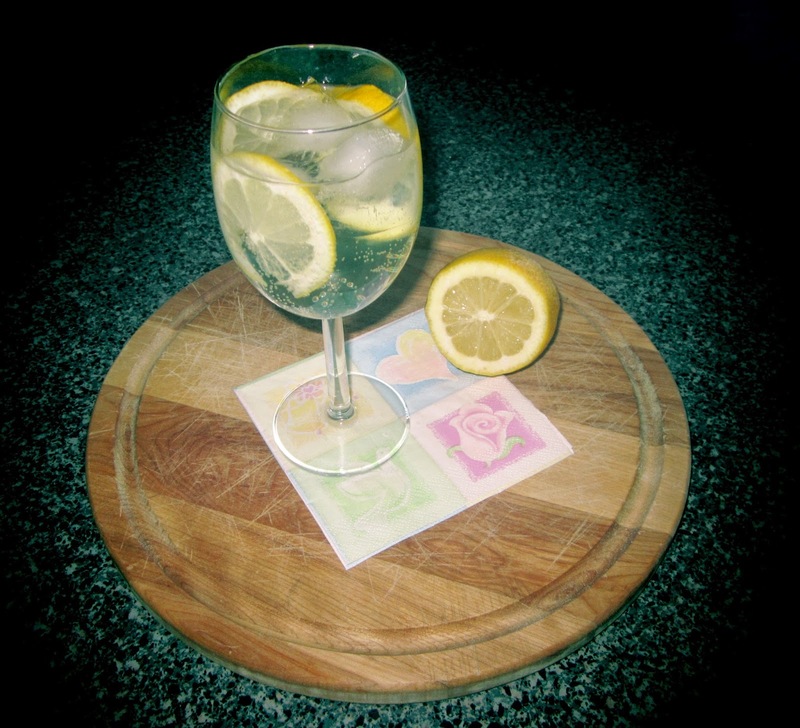 Fill a wine glass with ice and add lemon slices. Add 2 ounces of Prosecco and 3 ounces of Elderflower Sparkling Water to the glass. Stir and enjoy! *Note: bottle green Elderflower Sparkling Presse is already sweetened. If your Elderflower flavoured ingredient is not sweetened, add a bit of simple syrup. You can find instructions here.